A selfie stick and Stand is used to take photographs or video by positioning a digital camera device, typically a smartphone, beyond the normal range of the arm. This allows for shots to be taken at angles and distances that would not have been possible with the human arm by itself. The sticks are typically extensible, with a handle on one end and an adjustable clamp on the other end to hold the device in place. The rubberized ring & foot grips provide extra gripping power to grapple and wrap around almost any surface. With the quick-release plate it makes setup a snap. It is ultra-portable. 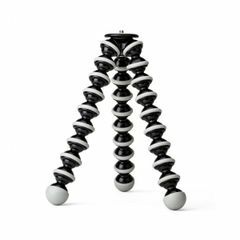 Whether you're shooting time-lapse photos with your mobile or capturing videos with your camcorder, this excellent Mini flexible tripod is the perfect companion to your next great adventure.Socheko.Com provide you Selfie Stick at best price Nepal. There is various color and various brand of selfie stick in Socheko.Com like the black, blue, white etc.And Genuine Brands like Mpow Selfie Stick, Fugetek FT-568, Spigen Velo S520W, JETech Battery Free Selfie Stick, Gorilla pod Tripod. In the various size 5inch, 8inch, 9inches etc. Buy the genuine Selfie Stick at Best price of Nepal in Socheko.Com online shop We can deliver the product as soon as possible. In Kathmandu valley we can deliver the product in two hour and for the order of outside valley or Kathmandu we take 1 day to deliver the item. You can easily trust to us because Socheko.Com is promoted by Nepal’s renowned business group who has been in Nepal business arena for last 20 years. We have understand value of customer and always believe on customer comes first. 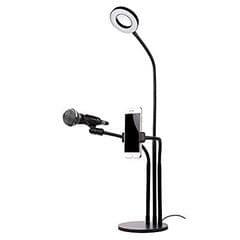 Socheko dot Com provide you the most genuine Selfie Stick at Best price Nepal. It becomes an indispensable commodity when you being out for holiday then selfie stick help you to capture the most beautiful photos for the memory so buy the Selfie Stick from Socheko.Com and make your life happy.